Attention first time home buyers: House shopping in Lake Wales? It's a giant undertaking to buy your first home. But it can also be a bit frightening. I bet you'll probably want some expert direction along the way -- and you'll undoubtedly need an experienced agent looking out for your top interests. I am absolutely qualified and ready in Lake Wales real estate, and would love to aid you in buying your first home. Not everyone with a real estate license is equally able to help YOU find your first home. My dedication to my clients is what makes the difference. Here are some things you can expect when you use Heidi Gravel for your first time home purchase. From finding the perfect house among all the properties in Lake Wales, to providing expert guidance on closing costs, I'll lead you through each step of the home-buying process. I'll help you define your wish list of features and amenities that you want in your home, your neighborhood, and your school district. The financial basics of buying a house can be mind-boggling. 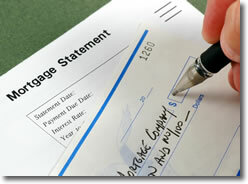 I'll walk you through the several mortgages and home buying programs to choose from. You can depend on me to keep an eye on all the new listings, and make sure I inform you of all the homes that match your criteria. Finding the ideal house for you in the Lake Wales area is my business, and I'm ready to go to work for you. Feel free to call me anytime at 863-676-8058, or click here to leave your info, and I will get back to you without delay.